VISTA, Calif.— Amazon rocked the pharmacy world in a big way last month with the announcement of its estimated $1 billion acquisition of PillPack, a 5-year-old company that made a name for itself with pre-sorted medication dose packaging delivered directly to patients’ homes. So how does the Amazon/PillPack deal impact independent community pharmacies? William Homes, founder and chief executive officer of RxSafe, said he sees three major takeaways from Amazon’s move. Designed and manufactured in the USA, RapidPakRx uses universal cartridges and built-in vision inspection. That means no “exception” trays or remote tray filling stations, no wasted time to load trays, and no errors from hand filling trays. “RapidPakRx is the first-ever system for adherence packaging designed specifically for retail pharmacies to complete a rapid, on-demand fill at the lowest possible cost,” Holmes said. In as little as 10 minutes, from label printing to handing the prescription to the customer, RapidPakRx can produce a 30-day supply of medications for as little as $5, including labor and materials. 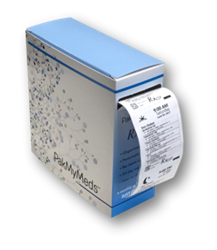 RxSafe also offers adherence strip packaging marketing services, known as PakMyMeds. The program is designed to help independent retail pharmacies with packaging, collateral and marketing assistance to make adding an adherence program as simple as possible.